The contracts say so right there in black and white, right? So, what are your questions? 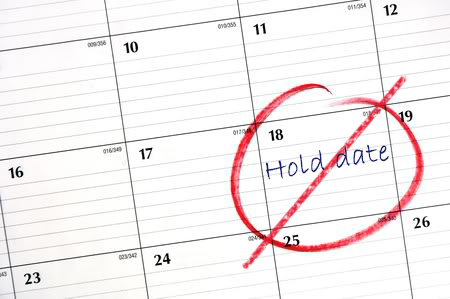 Well, you might ask why you sometimes still get calls asking for your “availability” on a particular date. If the understanding is for the musician to hold or reserve the date, and even turn down other offered work, then the effect is the same as a stand-by call. A riff on that theme is when the avail call, for example, is for five days, yet the actual work call later turns out to be for only two of those days. If the ask is for a one-way commitment from the player, without a corresponding offer from the employer, then the answer is that players should not receive such calls for recording engagements. If one does, the employer or contractor is in violation of the spirit, if not the letter, of the referenced contract provisions. This language is quite simply protection against the exploitation, manipulation and intimidation musicians often feel when they receive stand-by or “avail” calls. Working musicians find it hard enough to collect and maintain accounts, book recording dates and negotiate the calendar without the added pressure and uncertainty inherent in an employer or contractor’s request for players to “hold” a date or even refuse other work in exchange for a potential engagement that may not even materialize, or is significantly reduced. The concern and anxiety a player may then face while trying to decide which employer or account to confirm, and which to disappoint with a refusal, is further justification and basis for these valuable and important protections. Sometimes it is easy to overlook the fact that collective bargaining agreements are contracts negotiated by opposing parties, with opposing interests and agendas, across the table. Nothing in our recording agreements came easily, was won from management without a fight, or given to workers without cost or compromise. Everything in these books is the result of long and concerted efforts by musicians to stand together and address the issues they encounter in the workplace, look out for each other and establish industry standard terms and conditions of employment. The right to get the call to work, or not and remain available for another engagement, is one of the benefits of working under AFM contract, plain and simple – Let’s not take it for granted. Let’s also not give it away by allowing the practice to continue. If we all are willing, collectively, to say no to the calendar politics of such calls, then we might also relieve individual musicians from standing out, on their own, with all of the stress that that entails. Hell, you can always blame it on me, but the next time you receive an “avail” or stand-by call, refer the caller to the Union. Or, call the anonymous Dark Date Hotline below and let us know. Put your work dues to work for you, and let the EMD do the dirty work. As always, we will encourage employer compliance and endeavor to enforce the hard-fought terms and provisions of our contracts. – An earlier version of this article was originally published in the Fall 2015 Overture Magazine & October 2015 Overture Online. This entry was posted in All News, Electronic Media, Features and tagged Electronic Media, EMD, Stand-by calls on June 22, 2016 by admin.